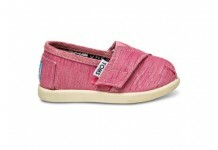 have you seen the new styles of tiny toms? i have a feeling my little norah is going to be getting a pair. good thing she loves shoes, just like her mama. 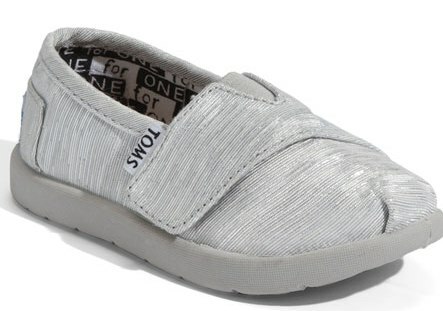 Oh, I love Toms. My daughter starts kindergarten in the fall. I've been thinking I would buy some of the red canvas Toms to match her uniform. So cute. how funny! my sister and i were just talking about them today. she drove all the way from layton out to fashion place so that she could try them on her kids. i guess the sizing is way off. i love the skull ones for boys! Those purple ones need to be on my little gals feet this summer. Thanks for sharing. toms are the best shoes ever. I have 6 pairs and bought my nephew some for Christmas because he liked mine so much. It makes it even better knowing that you are teaching kids about great things companies can do for people.